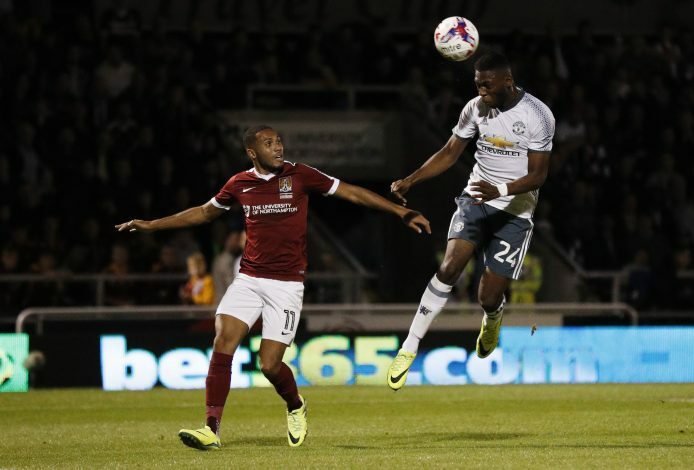 After Cameron Borthwick-Jackson’s loan to Leeds United, Timothy Fosu-Mensah is set to become the next young talent to be temporarily shipped off by Jose Mourinho, with reports suggesting that Crystal Palace have secured the services of the youngster on a season-long stint. The 19-year-old had joined United’s youth academy from Ajax back in 2014, and had an eventful time amongst the ranks of young players vying for their senior team debut. The moment was finally provided to the Dutchman by Louis Van Gaal in February 2016, starring in a 3-2 home victory against Arsenal. Following his call up, he made 10 more appearances for the Red Devils under the former manager. However, he was unable to impress new boss Jose Mourinho in a similar fashion, which saw him gather a mere 4 appearances under him in the Premier League. He was present on the bench during his team’s Europa League triumph over Ajax last season. After the arrival of Victor Lindelof from Benfica, the youngster was ensured a swift descent from the already competitive pecking order of defenders that the English giants had to choose from. Apart from his abilities as a full-back, the youngster also played as a centre-back and a holding midfielder during his days in the youth academy. With the loan deal is all but done, it remains to be seen what the future holds for him. Is this simply a chance for him to hone his skills by gathering first team game time before playing for United in the future, as was the case for the likes of Andreas Pereira? Or is this an indication of the revival of Mourinho’s infamous streak of leaving out youngsters and preferring to sign big money players? If so, Jose should note that giving youngsters regular opportunities to break into the first team is what has carved Premier League legends like Paul Scholes and Ryan Giggs at Old Trafford.